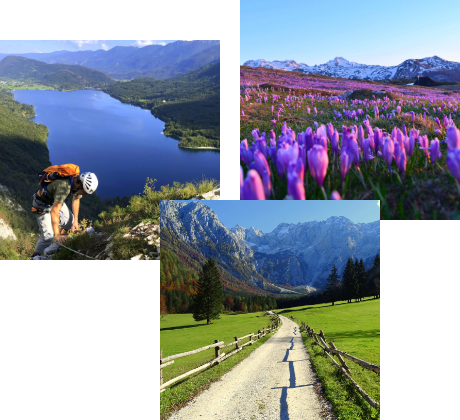 Would you like to explore Slovenia’s finest trails, mountains, waterfalls, and Alpine lakes? Walk from one flowering hilltop to another in summer, and traverse white fairytale hilltops with skis in winter? 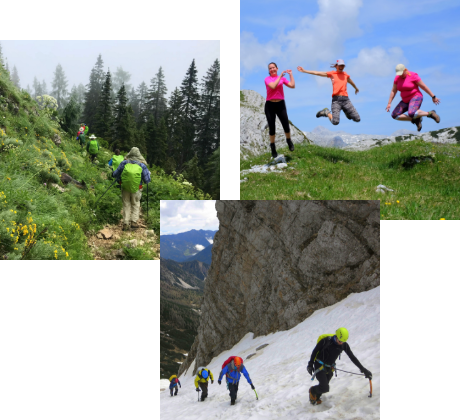 Climb legendary routes and conquer famous peaks in the most wild and secluded parts of the Slovenian Alps? We’ve got it all! Share rambling escapades with a small group of like-minded active individuals. With a low climber to guide ratio and a limited number of participants on our treks we strive to assure greater safety and nice friendly vibes within our groups. 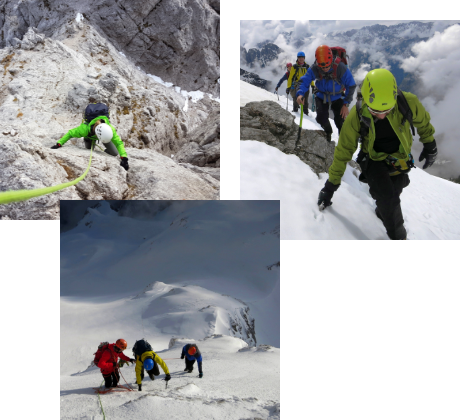 Due to unwavering commitment to safety, our demanding tours are always guided by experienced IFMGA mountain guides. 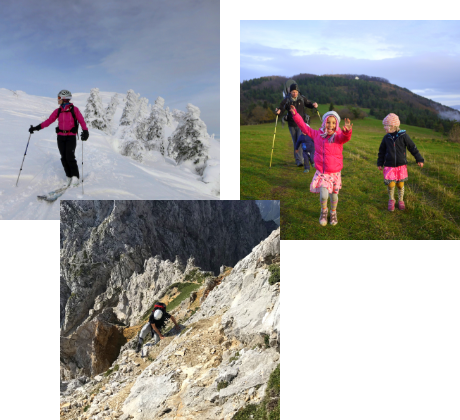 Be sure to experience Slovenia’s spectacular mountains safely and comfortably. Local knowledge, local experience, local skills, and local connections. 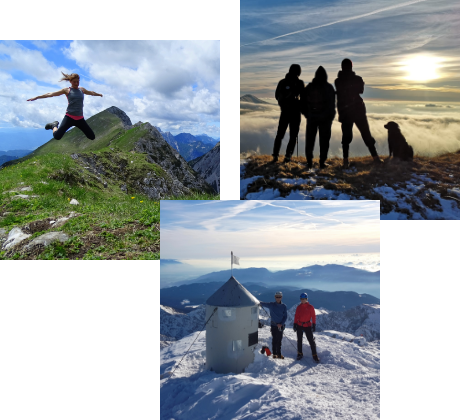 As a group of Slovenians with mountains encrypted in our genes, you can trust us when we say you’ll see the best of Slovenia on our tours with us. Anything from climbing Mt. 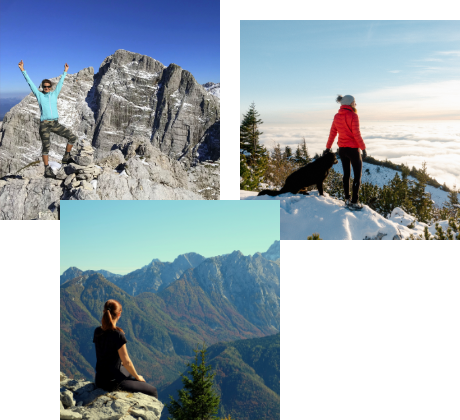 Triglav over its notorious North Face, traversing Alps in splendid isolation, trekking among blooming flowers, spotting wildlife, and curving down fresh powdery snow, you’re sharing big adventures with us. Apply for a tour, pack the necessary (we’ll send you a list of recommended clothes and equipment), and join us on our next adventure! Give us a call – there is nothing we like to talk about more than our adventures!